Heritage Minister Michael Ellis announced proposals that would allow more artefacts to be acquired by local and national museums and put on public display. Under the plans, the definition will be changed so that finds worth more than £10,000 will be considered treasure and made available for acquisition by museums. Currently, artefacts over 300 years old, made of gold or silver or found with artefacts made of precious metals where an owner cannot be found, can be officially designated as treasure, and therefore become the property of the Crown. Treasure is then offered to local or national museums for public display. Each year, dozens of items of national importance are believed to be lost to private sellers because they do not meet the treasure criteria or are sold by those who do not declare the find. These include the 1,700-year-old Roman era Crosby Garrett helmet that was found by a metal detectorist in 2010. 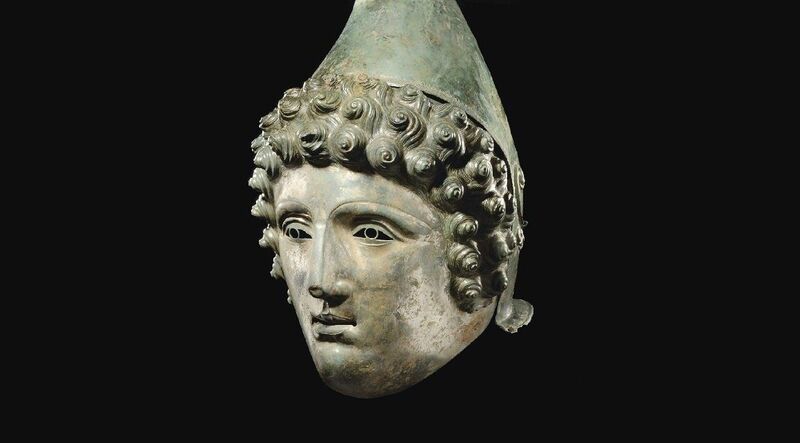 Despite its archaeological importance, because the helmet was made of a copper alloy it did not meet the treasure criteria and was sold to a private collector for £2.3 million. The proposals are to be consulted on and aim to clarify, improve and streamline the process for reporting treasure to ensure that museums can continue to acquire important finds for the nation. The search for buried treasure has captivated people’s imagination for centuries. And in recent years the number of finds has continued to increase. However some outstanding artefacts of great archaeological and cultural importance have been lost to private sellers simply because they do not meet the current criteria for treasure. These new proposals will help our museums acquire these treasures and make it harder for nationally important finds to be sold for personal profit. More items than ever are being discovered by treasure seekers across England, Wales and Northern Ireland with the number of finds increasing by over 1,500% since 1996.